The mood in the energy sector appeared to be finally changing yesterday, as encouraging US unemployment benefit claims data spilled over into the oil market. As such, WTI crude oil enjoyed a $1.55 gain to $95.21, helped also by the feel good factor that the Dow had closed above the 16,000 level for the first time. Unfortunately for gold investors, good news regarding the economy means downside pressure for the precious metal these days. Yesterday, gold lost $1.2 to $1,242.5 after the upbeat US employment statistics, with the trend now pointing firmly to the downside. Renewed speculation that the Fed might start tapering ahead of expectations kept crude oil prices close to their recent lows. As a result, US crude finished $0.18 down at $93.67, with an increase in production also seeing stockpiles rise by about 0.4 million barrels. In the meantime, it didn't help that China, the world's second largest oil consumer, missed estimates regarding its manufacturing data. Gold prices posted a steep plunge yesterday, losing $31.4 to $1,243.6 after the less dovish FOMC minutes were released during the afternoon, throwing all hope of an immediate price recovery out of the window. A strengthening dollar undoubtedly accentuated the losses, with the precious metal falling to levels not seen since 9 July. Short covering, together with expectations that oil demand is about to pick up after refineries increased production, pushed US crude oil prices slightly higher to $93.84; up $0.26 for the session. In addition, gains for equities and a weaker dollar offered their usual support, amid growing speculation that a turnaround in oil futures may not be far away. Gold prices struggled to post a recovery despite a weak US dollar, instead remaining close to their recent lows. Spread betting and CFD trading investors were concerned about consumer prices and also wanted to see the minutes of the latest FOMC meeting. Consequently, the gold market closed flat at $1,275. The build in crude inventories continued to put downside pressure on the market despite ongoing rallies in equities to fresh all-time highs. As a result, WTI crude prices dropped by $0.20 yesterday, closing at $93.59, and we have struggled to post any meaningful rebound during the last few weeks. Later this week, the inventories report will be closely scrutinised once again for any signs of a pickup in oil demand. There seems to be an interesting mix of euphoria and nervousness in the markets, with profits being taken off the table at light speed. This was the case with gold prices yesterday, with the market dropping $14.2 to close the day at $1,274.9. The speed of climbing oil inventories trumped last week's hint from the Federal Reserve that they are not yet confident the economy is capable of sustaining the recovery pace. As a consequence, US crude oil resumed its slump on Friday, losing $0.23 to $94.13 with the trend now pointing clearly to the downside. 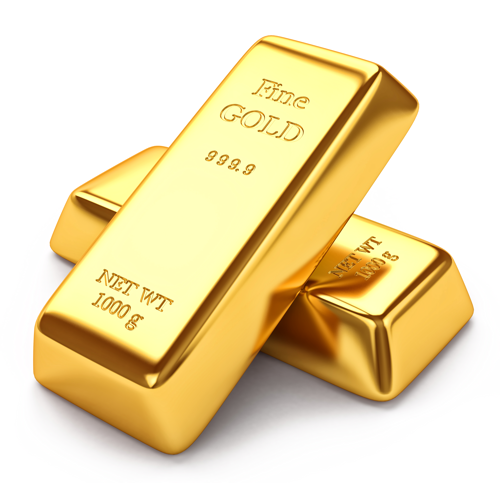 Gold prices ended nearly flat around $1,287, largely on news that QE is still on the table. On the one hand, a lower dollar coupled with a rally in equities offered good support, however, on the other hand, profit taking ahead of the weekend cancelled that out.